Available for all media worldwide. Ace Award winning standup comedy series, shot on location in top comedy clubs across the USA. Remastered on Digibeta. 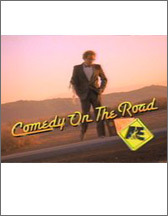 Contains 540 eight minute performances by America's top club comedians. Aired on A&E in the USA for 5 years running.